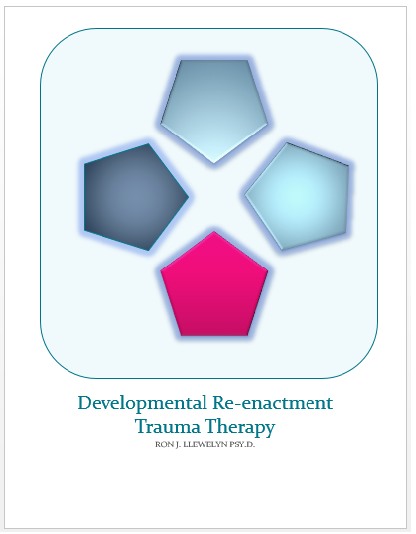 If you are interested in obtaining a copy of Developmental Re-enactment Trauma Therapy when it comes out or would like updates, please leave your name and email. I have been asked by several conference attendees to give some "sneak peeks," per se, into the more detailed aspects of this model. From time to time; therefore, I will add a tidbit or glimpse into the material with a more extensive analysis than I am able to offer in a short two hour presentation. I would ask that people respect the immense amount of time that I have put into this book by not plagiarizing any of the material. Before jumping into the model proper, it is essential to explore the nature of complex trauma. Below is a list of symptoms common to Type 2 or Complex PTSD as presented by Herman, 1994; Luxenberg, et al. 2001 among others. A small portion of the introduction. Over the past several years I have been blessed with the honor of presenting on the topics of Posttraumatic Stress Disorder (PTSD) and Psychodynamic/Attachment based treatments. It was in preparation for a presentation that I picked Judith Herman’s book (Trauma & Recovery) up for another look. As I perused the pages I came across a statement that had impacted my work years before; “Recovery from trauma requires the reconstruction of basic capacities for trust, autonomy, initiative, competence, identity and intimacy…” . I remember thinking to myself that these curative factors sounded similar to Erik Erikson’s model of psychosocial development. Sure enough, looking to her footnote she cited Erikson’s work. A few days later I was meeting with a woman who had suffered years of trauma. In that session, she leaned forward on the couch, looked at me and said, “It’s like I need to learn trust all over again.” Thinking back to the quote from Herman’s book, it dawned on me that part of the treatment that this woman and I had been engaged in was a reenactment of the Eriksonian Psychosocial stages. As I had long suspected that the psychosocial stages not only occurred at the lifelong macro level, but also at a shorter term micro level. In other words, we progress through the eight (actually nine) stages of Erikson’s model throughout our life; beginning with Trust vs. Mistrust and for many ending with Integrity vs. Despair. We also; however, navigate these same stages each time we create a new relationship with another person. With every new relationship we enter, we must determine if trust or mistrust is warranted; followed by a determination if we can be our autonomous self or need to acquiesce to social expectations. This idea stands at the foundation of this model of trauma treatment. With this basic hypothesis in mind, further examination was in short order. Knowing that I had relied heavily on the work of Nancy McWilliams, I went back to her texts; followed by texts of the foundational writers, Erikson, Freud, Hartmann, and so on. Reading through these masterful works, the model had become more apparent. Underlying the words being spoken in therapy was a transferential dynamic that brought the client into each of the psychosocial conflicts once again. Putting Judith Herman’s work side by side to Erikson’s a new revelation emerged. The model that Herman espoused for treatment of complex PTSD fit neatly into the psychosocial stages. At this point, the model was taking shape rather quickly. Taking the opportunity to present this theory at several conferences, I was a bit taken aback by the response of the attendees. The numerous requests for further information on the model spurred me into placing it in book form.